If you are like most people, you have goals for this year that are more ambitious than what you accomplished last year. Almost everyone (at least the readers of this blog) wanted to get better. All too often we set goals without having a plan to achieve them. And without a plan a goal is merely a dream. It is nice to think about and makes you feel good. But that is about it. In less than 37 minutes I can show you how to turn a dream into a goal. First set aside just 37 minutes to work through this simple step-by-step process. 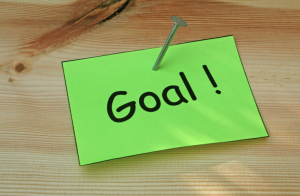 HOW TO ACHIEVE YOUR GOALS THIS YEAR? Look at your calendar. Were there events that kept you moving and motivated? What were they? A diagnosis from your doctor? An event or reunion? Participating in a 5 K run, bike race, or marathon? After looking at the things that helped you move forward, take a look at the things that derailed you. Avoid them as you move forward unless there is a way to use them to remain motivated. Choose the events that brought you success. For everyone this will be different. I am positive there was a movement time for everyone that might have been as simple as going for a walk with a friend. Hence, this step is very important. Look into the past and learn from it. Then set realistic goals. Be realistic and not overly ambitious. The changes that you should want to implement should last a year. Write down what you hope to accomplish in your movement program. Again, be realistic. You want to succeed. Write out 2 simple strategies that you can use to receive help at home, from friends or in the office – the internal approach. Then write out 2 simple strategies that you can use to receive help from experts, events or specific locations – your external approach. Then decide which strategy helped or will help you to stay on track for success. Come up with 2 strategies to use when life gets in the way. Implement them and evaluate their effectiveness. If they did not work, come up with 2 additional strategies until you can either avoid or manage the items that allow you to backslide or lose focus. How can you achieve consistency? How will you reward yourself at the end of the year for staying committed to your goals? The reward doesn’t just have to be feeling great, losing weight, burning fat or to looking better naked. Achieving your goals requires commitment. Reward yourself with something enjoyable, perhaps something that you have never done before. Visit a place that you never been to before. Is there a country that you always wanted to visit? Sign up for a course that you always wanted to take in and didn’t feel brave enough to. Create a unique experience that you look forward to. Set a timer for each block and you will find yourself taking action instead of just putting it off. This will help you to think fast and get your plan in order for this year. This is your shortcut to success for this year. Stay focused and expect success.